You can change the team that a board belongs to by opening the right sidebar on the board, selecting "More", then "Settings", and "Change Team." Select the team you would like your board to belong to from the drop down menu or select "none" if you do not want your board to belong to a team. NOTE: You have to be an admin of the board to change its team. Change the team a board belongs to from the board's settings. 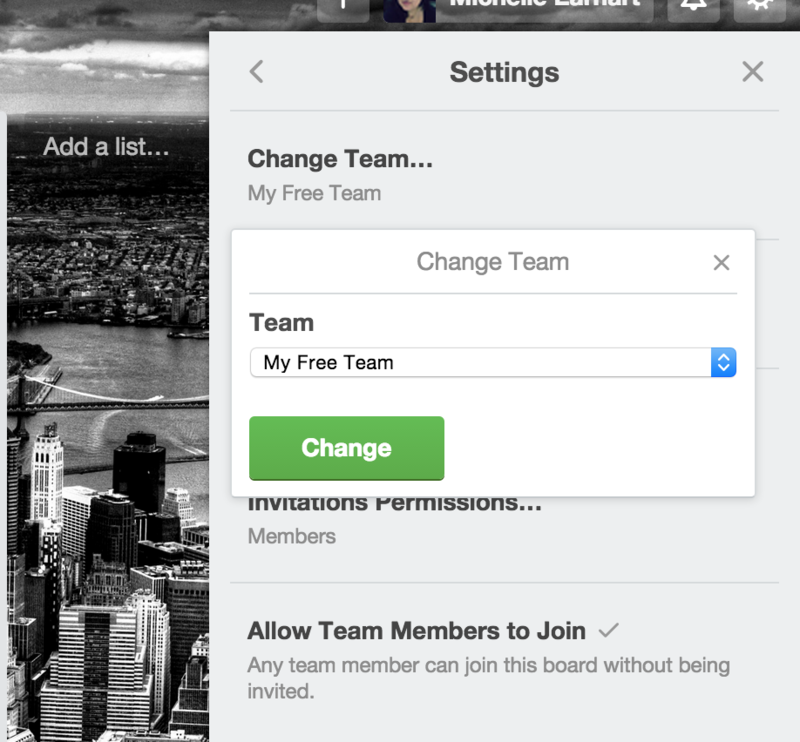 You can also change the team that a board is associated with by clicking the team's name in your board's header to the right of your board's name, selecting "Change Team" and then choosing the team you would like to now associate your board with. Or change the team a board belongs to from the board's header. If you associate the board with a team this way, the board will remain in the team even if you change the visibility back to Private or Public. You can use the methods described above for changing a team to remove a board from a team entirely.